With Easter just around the corner, once through this snowy spell, our Adoptees will be making their way over to us for their first visit of the year…to see the dolphins. Our Sea Watch office is located just off the main car park in New Quay, Cardigan Bay, and you will always see our interns on the quay with binoculars in hand, madly scribbling and taking notes on who’s been seen, where and with whom. 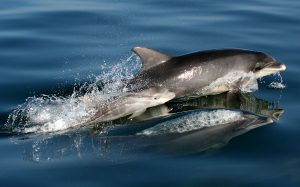 We have high hopes of seeing our Adoptable dolphins soon, so don’t miss out on this fabulous experience of seeing the wild dolphins of Cardigan Bay. Drop a comment at the bottom of this post, to let me know when you are planning to come and see us so I can try to arrange one of our staff members or interns to meet you when you arrive. How do we catalogue dolphins?